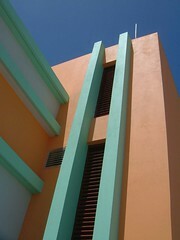 My Japanese co-worker a resident UNV Architect (United Nations Voluteneer) is reknown on island for her use of colour. She and I quote,"[was] interested in bringing back colour & vibrance back to the island" - rather important since 90% of the country's architecture was either destroyed or had to be abandoned after the Souffeire Hills volcano began eruption after 300 years of dormancy. 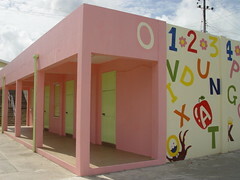 Because her use of colour on the buildings she designed is so well appreciated, many locals have asked her "advice" on the painting of their homes & businesses. I would say that there are at least 50 examples of such on island - all remarkable. Now this isn't colour for the light of heart but she manages with each example to win over the more conservative. I previously showed the Nursery School in Brades, as well as the Mortuary at the St Johns hospital with palettes quite unusual for their typologies. More remarkable is that she takes her role as a volunteer very seriously, taking no compensation for her advice, aside from a "thank you" and a possibility of a generous act in the future. Hence the title of this post, "design in kind." Of course this has extended to other works, redesigning someone's kitchen, working drawings, it varies - but done for nothing more than a kind gesture. It also manages to be infectious as I've extended my talents designing a small extension, a pool house, etc with gifts ranging from a box of Cohibas, a bottle of wine, the best of Nina Simone cd, etc. I know those out there worried about the erosion of the profession into nothing more than pencil pushing will probably hiss at this notion. But are there any other stories out there of design in kind - let me know, I'd love to hear your thoughts on this. With 2006 dawning on us all is it time to rethink architecture as more than a service industry and perhaps as a gesture of kindness & the committment to quality design at no cost? Merry Christmas to all the fetish fans out there. Hope you all have a great one. 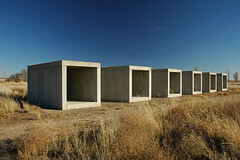 Online magazine celebrating sustainable design and architecture throughout the world. Many apologies the previous post by SANAA's Museum of Comtemporary Art is actually in Bowery, not Brooklyn. End of the year with thoughts of misletoe, the blog seems to be the furhtest from my mind...or is it? 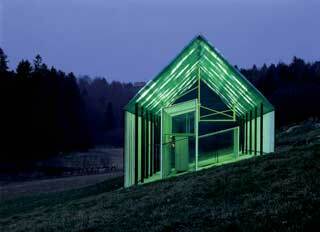 Hotel Saratz by architects Hans-Jorg Ruch. The Swiss architect is known for his intelligently designed, exquisitely crafted conversions and extensions of existing alpine buildings. more on SANAA, interview at DesignBoom, "Kazuyo Sejima and Ryue Nishiwaza have been working collaboratively under the name ‘sanaa’ since 1995. 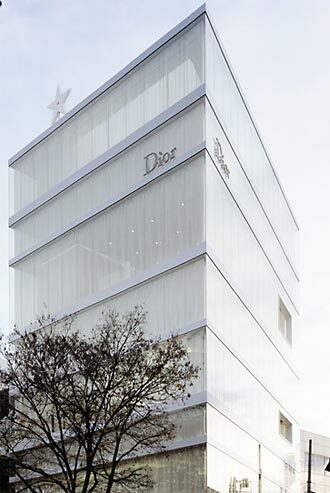 Sejima studied architecture at the Japan Women's University before collaborating with architect Toyo Ito. She launched her own practice in 1987 and was named ‘young architect of the year’ in japan in 1992. 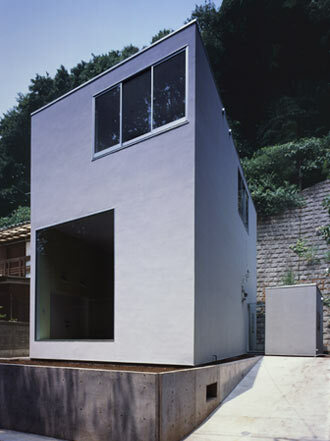 Nishizawa studied architecture at Yokohama National University and, in addition to his work with sejima, has also maintained an independent practice since 1997." Love the box - be the box!! Land art will always have a place on "the fetish"
Error on that previous post regarding Zaha Hadid at the Lourve, the winner of the competition was in fact Mario Bellini. Images to come. SANAA's (Kazuyo Sejima + Ryue Nishizawa) New Museum of Comptemporary Art in NYC, an array of staggered cubes balancing over the streets of Brooklyn, is the past feature on Archidose. CAD Monkey (see IV) who never got around to learning CAD, therefore does the colouring-in, either by hand or with Photoshop. Often progresses through the company quicker then the CAD Monkey due to more of an interest in reality and inability/disinterest in making software tools work. Picked this one up from Archidose, Zaha Hadid to construct a Department of Islamic Art at the Louvre in Paris. Emilio Ambasz is constantly attempting what he calls a 'reconciliation of the man-made with the organic;' this manifests itself with structures embedded into the landscape as if growing themselves. The Green TreeFrog's two-layered structure consists of an upper and a lower skin of green translucent corrugated polyester. Squashed between the glass skins lies a lighting system of fluorescent tubes giving off the luminous glow. I'm an unhappy camper. My badass camera is on the fritz and this seems to be a trend with me - own a camera for a bit and then boom, it dies. This makes 4th camera (and second digital) that has died in the last 8 years. Anyhow I've sent off for a new one. More comact similar features. Cantilevering out to the ocean, the Holman residence found precedent in the paintings of Picasso. The layout curves as if dancing with the coast line, offering dramatic vistas along its ridge. 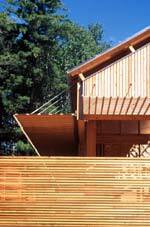 Durbach Block architects where commended with two nominations from the RAIA for this residence in 2005. Historically, the phrase going troppo came into prominence during World War II. It meant to be heat affected, one went off, a little mad in the heat of the tropics. This is the story of two architects who went troppo, but in doing so, found another state. For them it meant becoming acclimatised, not going off at all, but understanding the place. Going troppo was revealing—even enlightening—and it would provide the basis for a new practice of architecture in Australia’s Northern Territory. Pritzker Prize-winner Rem Koolhaas will design next year’s Serpentine Gallery pavilion. With a style and inspiration that is eclectic and changing with each project, projects seem obsessed with getting materials right.